In order to become a fully Certified Nursing Assistant (CNA), students need to complete a 6-to-12 week CNA certificate program, while the prerequisite for the program itself is a high school diploma or GED. The Certified Nursing Assistant certified program offered by Dominion Academy entails classroom instructions along with practical experience and clinical supervision. Moreover, students gain experience through clinical activities organized by the Carefirst Nursing Academy. The course content and classroom instruction provided to students in the academy focus on basic nursing skills, anatomy, physiology, infection control, and nutrition. Work in a hospital or any other health-care setting on a long-term basis, under the supervision of a licensed nurse. Help patients/residents fulfill their basic physical, social and psychological needs. 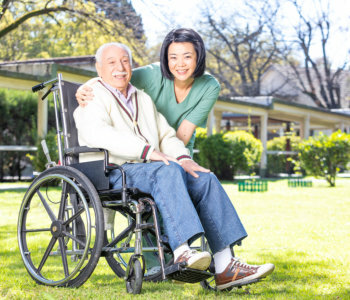 Provide care to patients and help them achieve independence in terms of functioning. Work as a Care Assistant, Care Partner, Clinical Assistant, Nursing Assistant or a Patient Care Assistant. Documentation providing proof of Negative Tuberculin (TB) skin test carried out within the last ten months. Documentation of Recommended Hepatitis B vaccination. Certified American Heart Association (AHA) CPR/BLS. Immunizations of measles, mumps, rubella, and tetanus etc.